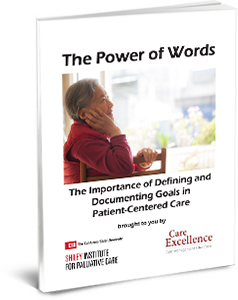 Excellent care of patients and families facing end of life requires that clinicians have special knowledge and skills. This course provides effective tools and resources to aid in prognostication, communication, and symptom management, and examines regulatory and ethical issues for this complex and high-need group of patients and families. Standards regarding hospice eligibility, coverage and admission are also included. This is the seventh course in a nine-part series, Primary Palliative Care Skills for Physicians, NPs and PAs. Take each course individually or enroll in the full series for a significant discount! Learn more about the full series here!